When overweight treadmill salesman Reginald Baskin finally meets a co-worker who doesn't make fun of him, it's just his own bad luck that tech guy Maurice turns out to be a two thousand-year-old vampire. And when Maurice turns Reginald to save his life, it's just Reginald's further bad luck that he wakes to discover he's become the slowest, weakest, most out-of-shape vampire ever created … doomed to “heal” to his corpulent self for all of eternity. Fat Vampire is the story of an unlikely hero who, after having an imperfect eternity shoved into his grease-stained hands, must learn to turn the afterlife's lemons into tasty lemon danishes. 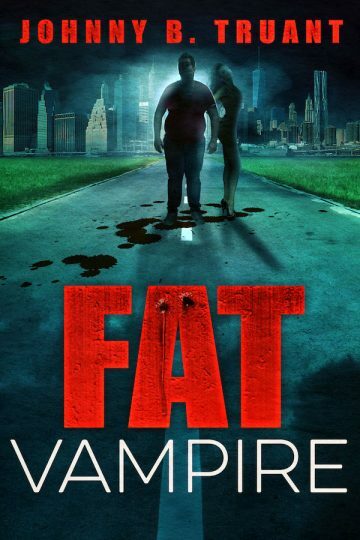 Fat Vampire is a fresh twist on the tired old undead myth by Johnny B. Truant — author of many bestselling series including Invasion, The Beam, Unicorn Western, The Dream Engine, Robot Proletariat, and more.